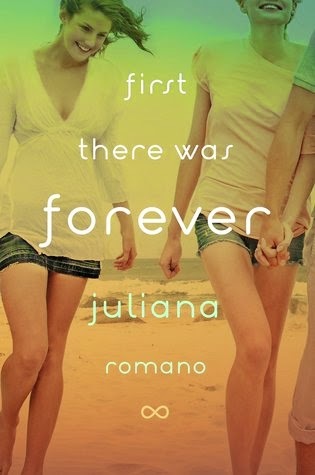 Goodreads says, "Lima and Hailey have always been best friends: Lima shy and sensitive, Hailey funny and free-spirited. But Hailey abandons Lima to party with the popular kids and pursue Nate, her disinterested crush. As their friendship falters, Lima and Nate begin spending more time together. And before Lima knows what she’s feeling, she and Nate do something irreversible. Something that would hurt Hailey....if she knew it happened. Lima thinks she’s saving her friendship by lying, but she’s only buying time. As the secrets stack up, Lima is forced to make a choice: between her best friend forever, and the boy who wasn’t meant to be hers." The blurb for this book says it's for fans of Jenny Han's The Summer I Turned Pretty and Huntley Fitzpatrick's My Life Next Door. When I read that, I immediately added this book to my TBR list. It sounds right my alley. What do you guys think? In addition to Jenny Han, this book kind of reminds me of Morgan Matson's Since You've Been Gone - at least with the two friends who are very different and then one of them leaves. Great pick! I'm adding it to my TBR for sure. Good point…definitely does sound familiar! Thanks for visiting! I'm glad you agree! Thanks for visiting, Kate! I know, right?! Tons of drama in this book. Thanks for dropping by, Sarah! I almost got an ulcer just reading the blurb on this one Christina! I don't handle books with secrets like the above very well, I get so stressed out!!!! I know it's not technically cheating, but I feel so guilty on already on Lima's behalf and I haven't even read one page of the book yet. *bites nails* I can't wait to see what you think of it though!!! Haha. You crack me up, Jenny, but in all seriousness, I am not a big fan of cheating stories as well. Hopefully cheating isn't a big part of the book. Thanks for dropping by! I hadn't heard of this one but I did like Jenny Han's new book so maybe I will check this one out too. You must read Han's Summer series as well, Christina, especially if you liked her latest book! It's so good! Thanks for dropping by! Me too! I hope there is a happy ending. :) Thanks for visiting, Veronika! I added this one a few days ago as soon as I saw that it was for Han & Huntley fans! Seems like it could be fantastic! Now if only we could fast-forward to the release date.. I know! When it said Han & Huntley, I immediately added it. :) Thanks for visiting, Lea! I haven't read any Jenny Han or Huntley Fitzpatrick (yet!) but this one does sound interesting! OH! You must read Han's Summer series and My Life Next Door by Fitzpatrick is pretty great as well. Thanks for dropping by, Christa! This sounds good. I like the fact that the shy one ends up with the dude...or does she? I know, right?! We will have to see….thanks for visiting, Christianna! OMG! LOVE. the sound of this! Great pick, Christina! I know!!!!! I knew you would like the sound of this one. :) It's kind of weird it comes out in Feb. since it seems like a summer book, but maybe it will get my mind off of all the snow and ice that we always get. Thanks for dropping by, Leanna! Great choice. I haven't heard of this one until now but it does have a beautiful cover. I LOVE the cover…it screams summertime! Thanks for dropping by Krystianna. This is right up my alley, too. I loved My Life Next Door and while I wasn't a fan of The Summer I Turned Pretty, I do really like Jenny Han and her writing style. Jenny Han is one of my favorite authors ever and My Life Next Door was pretty great, so I am hoping this book won't disappoint. Thanks for visiting, Keira! I'm a fan of both Jenny Han AND Huntley's books, so if this is anything like that, I'm sure I'll love it! There's something about contemps with a summer feel. Lovely pick! Me too…love a contemporary read in the summertime! Thanks for visiting, Melissa!